The word periodontal means “around the tooth”. Periodontal disease attacks the gums and the bone that support the teeth. Periodontal disease is characterized by red, swollen, and bleeding gums. Plaque is a sticky film of food debris, bacteria, and saliva. If plaque is not removed, it turns into calculus (tartar). When plaque and calculus are not removed, they begin to destroy the gums and bone. 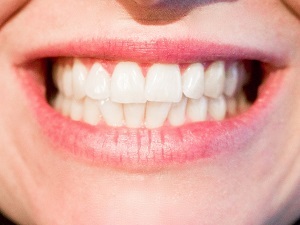 Longer-looking Teeth – Periodontal disease can lead to gum recession. The toxins produced by bacteria can destroy the supporting tissue and bones, thus making the teeth look longer and the smile appear more “toothy. Your dentist or hygienist will use pocket depths, amount of bleeding, inflammation, tooth mobility, etc., to make a diagnosis that will fall into a category based on severity. Periodontal disease is the leading cause of tooth loss among adults in the developed world and should always be promptly treated. Treat your periodontal disease with Frost Dental Group, call today to schedule an appointment. There are genetic and environmental factors involved in the onset of gum disease, and in many cases, the risk of developing periodontitis can be significantly lowered through good oral hygiene, a balanced diet, and regular dental visits. You can also take preventive measures to minimize your risk. Preventing dental disease starts at home with good oral hygiene and a balanced diet. Prevention also includes regular dental visits which include exams, cleanings, and x-rays. A combination of excellent home care and professional dental care will preserve the natural dentition and support of bony structures. When bacteria and calculus (tartar) are not removed, the gums and bone around the teeth become affected by bacterial toxins and can cause gingivitis or periodontitis, which ultimately lead to tooth loss. Research has indicated that smoking and tobacco use are some of the most significant factors in the development and progression of gum disease. In addition to smokers experiencing a slower recovery and healing rate, smokers are far more likely to suffer from calculus (tartar) build-up on teeth, deep pockets in the gingival tissue, and significant bone loss. Stress lowers the ability of the immune system to fight off disease which means bacterial infection can beat the body’s defense system. Poor diet or malnutrition can also lower the body’s ability to fight periodontal infections, as well as negatively affecting the health of the gums. Many medical conditions can intensify or accelerate the onset and progression of gum disease including respiratory disease, heart disease, arthritis and osteoporosis. Diabetes hinders the body’s ability to utilize insulin which makes the bacterial infection in the gums more difficult to control and cure. The clenching or grinding of teeth can significantly damage the supporting tissue surrounding the teeth. Grinding one’s teeth is usually associated with a “bad bite” or the misalignment of the teeth. When an individual is suffering from gum disease, the additional destruction of gingival tissue due to grinding can accelerate the progression of the disease. Many drugs including oral contraceptive pills, heart medicines, anti-depressants, and steroids affect the overall condition of teeth and gums, making them more susceptible to gum disease. Steroid use promotes gingival overgrowth, which makes swelling more commonplace and allows bacteria to colonize more readily in the gum tissue.